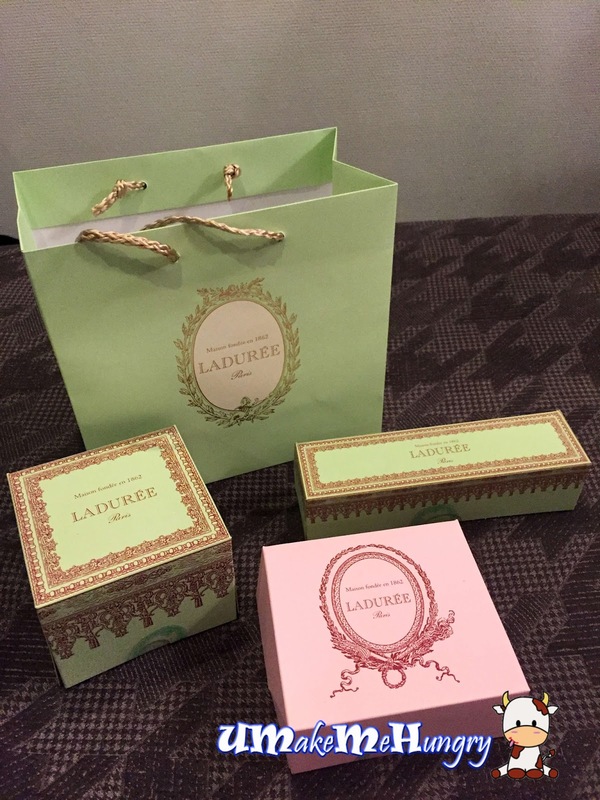 Ladurée, the popular name that you may hear somewhere for their macarons. 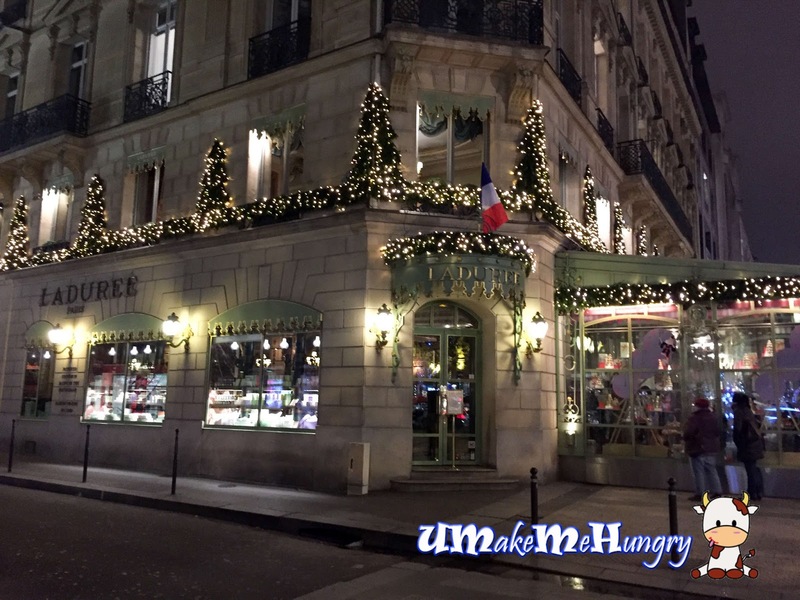 Though we have this located in Singapore's Takashimaya, I never get the chance to go there thus I took this opportunity to visit the shop in Paris. 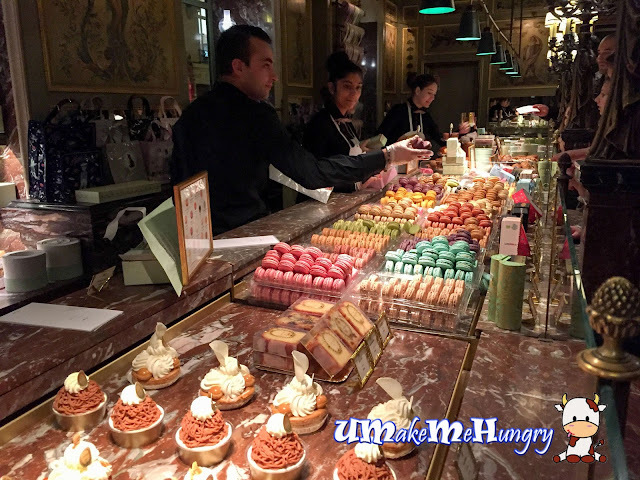 Laduree is a chain stores in Paris and I had visited one of their store in Paris's famous shopping Street, Champs Elysées. I was kind of surprise that it is actually housed in a big building and there was a very long queue. Fortunately the long queue for those who wants to dine in and for those who are taking away may join the queue inside next to the counter. Likewise, before entering, we have to pass through a stringent security check by the officers. Items were all spread out on the Marble table top and with patrons lining up in the snaky queues waiting to be served. While waiting, I was sweating due to the amount of heat generated in Laduree as I have my winter clothes on. Nevertheless, I was more excited over the items and it did not really bother me much. 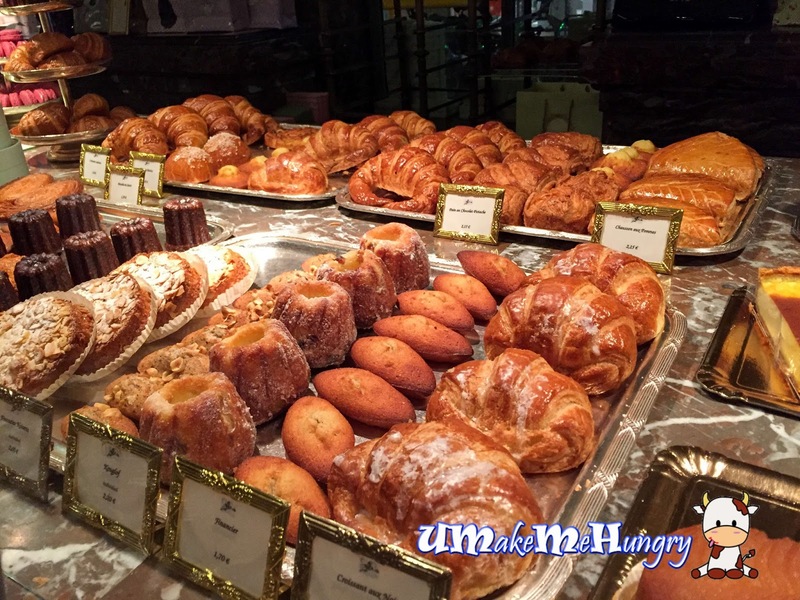 Food items like the pastries looked elegantly designed and stunning while the croissants, muffins were just simply tempting. Do you want some bakery stuff? The way how pastries were packaged looked classy however, this also means that the price paid for the pastries had perhaps factored in the price of the packaging. Maybe this is what up-scale pastries is all about? Eclair was yummy! 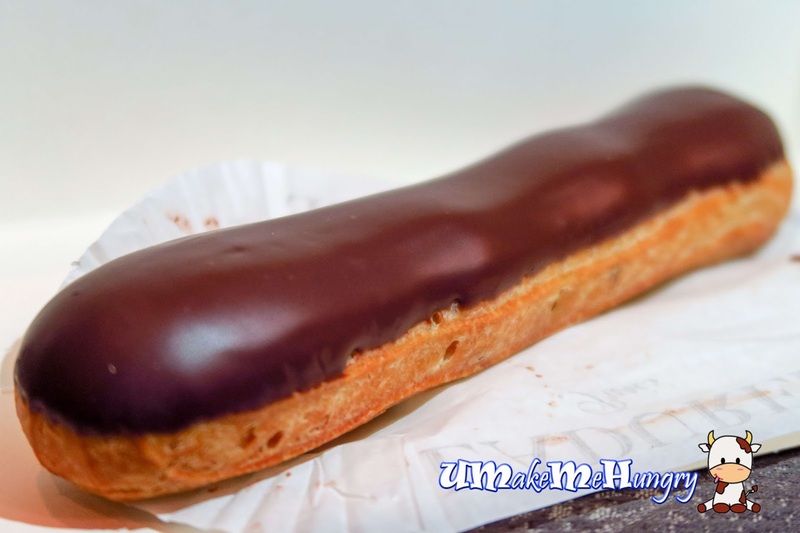 The choux dough was about 20cm in length and with a semi-bitter chocolate that coats the top part. That's was kind of surprising as I expected it to be more on a sweet side. 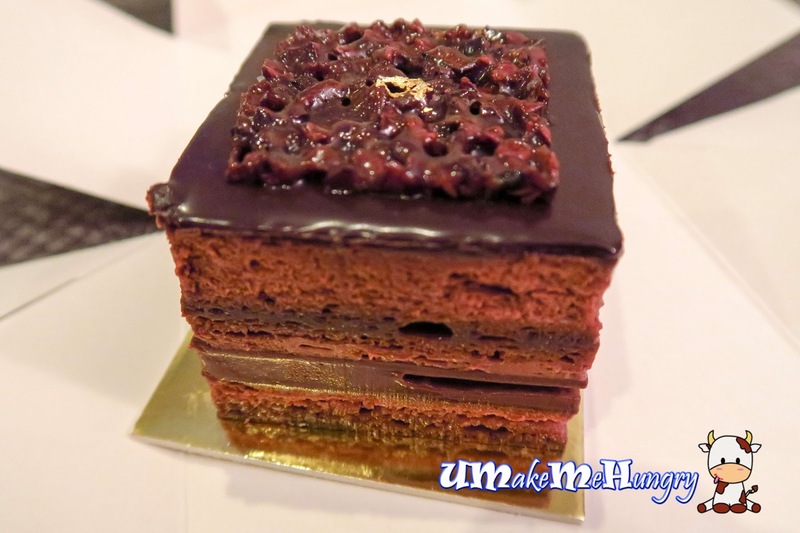 Having the Carre Chocolat was indeed a therapeutic one. The luscious amount of chocolate with alternate layers of chocolate cake as well as crispy and crunchy bites of chocolate was simply irresistible. Felt very happy having it. 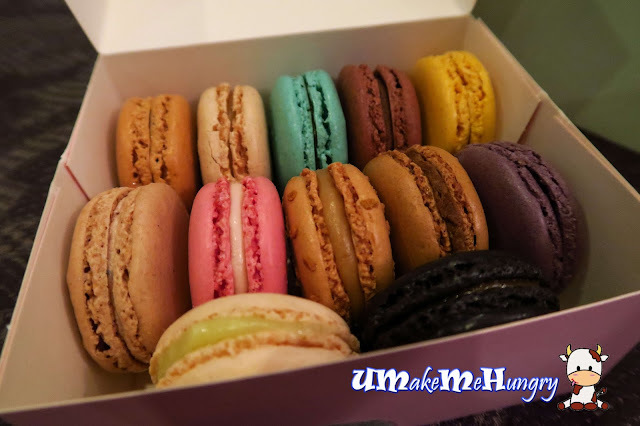 There were alot of flavours of Macarons to select from and we had picked 12 different kinds. Shells of the Macarons are soft, sandwiching the delicious flavoured ganache filling. I was expecting Macarons was more for the sweet tooth but surprisingly it was not that diabetic sweet as I would have thought. 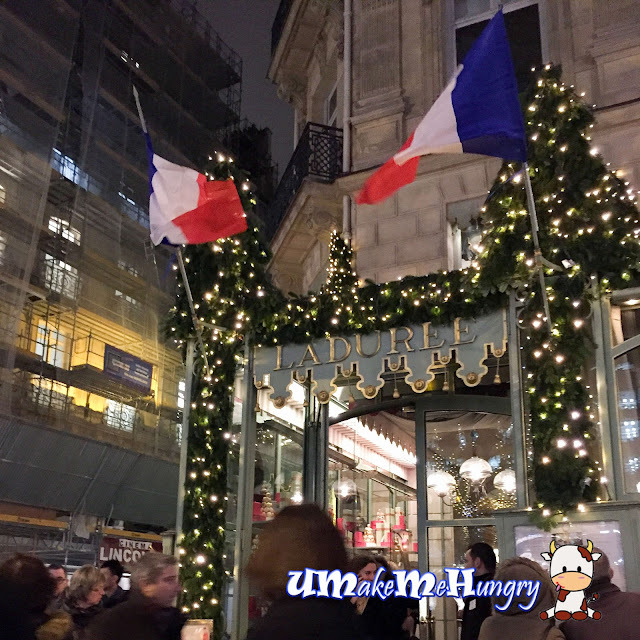 Although I'm not someone with sweet tooth, having visited and tasted Ladurée was a total new experience to me. I was quite lucky watching tourists rushing out to the nearest bench right in front of the store sharing the joy of Macarons purhcase with their group of friends and each biting off one part of it, screaming for joy that they have actually tasted it!